For a small guy, he has a big temper. Just 2.5-inches tall with a fondness for meaningful eye contact and heavy lifting, Cozmo is a robot companion designed to seem like it has a soul. And like any faux-sentient creature, he gets grumpy when he's poked or turned on his back. You can tell by the way his eyes narrow and he grunts at you. 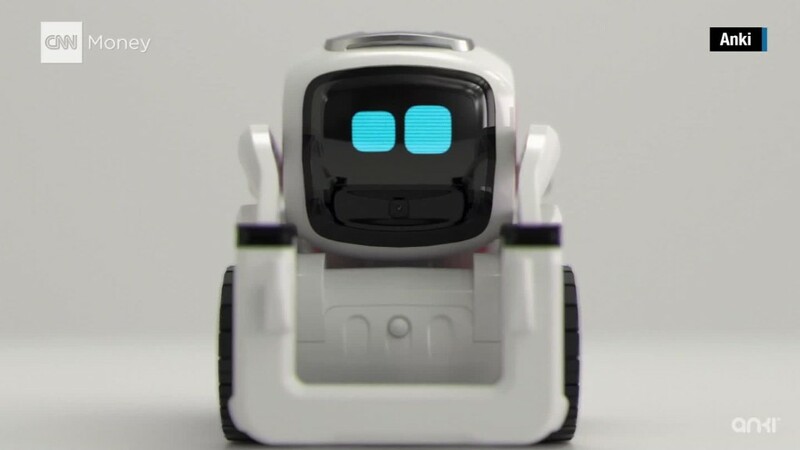 Cozmo looks like a lot of toy robots on the market (and Pixar's Wall-E), but he's been programmed to move, interact, and emote like a complicated movie character. His creators at Anki designed him using a combination of artificial intelligence, image and voice recognition, and animation. His face is just a small OLED screen with two animated eyes that can show a wide range of emotion. Depending on the situation, he might be angry, focused, annoyed, surprised, skeptical, bored, scared, sad, happy, or any combination of those emotions. The robot works with a smartphone app that provides a matching soundtrack to his actions. A camera in his face can identify who is playing with him, and once you type a name into the app, he remembers who you are and will even say your name. It's one of the few words he says out loud. Mostly he communicates with a series of beeps and tones. He can sense where you are and what you're doing, play games with you, and stack his toy blocks. When moving around, he builds a map of his environment, people and obstacles, and knows when he's teetering on the edge of a table. It's almost like a less useful, more lovable Roomba. Anki is a San Francisco company founded by three Carnegie Mellon roboticists. It's best known for its racing game Overdrive. "The world is polluted with robot companion products that claim to do all these different things, but they're plastics and components that aren't connected to the environment," said Anki founder Boris Sofman. 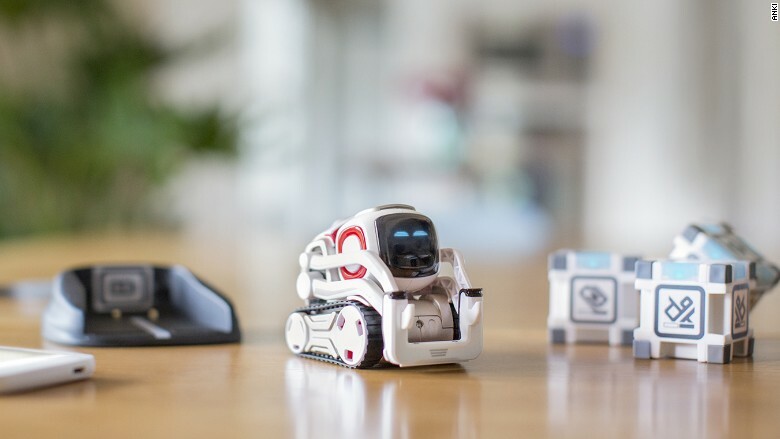 Anki hired a character director with 10 years of experience at Pixar to lead the creation of Cozmo. A team of five animators used traditional computer animation techniques to design his movements and reactions. They worked with a robotics team to translate it all into a physical body. Cozmo even has a backstory -- he was a warehouse robot that accidentally caught a case of emotions. Yes, like Johnny Five. The robot will be available this October for $179. Regular software updates will follow to add new skills and keep your relationship fresh. Anki is planning to create more characters in the future. Cozmo is constantly looking for approval. His neediness brings to mind Tamagotchis, the old digital "pets" on keychains that would die without proper attention and virtual food. If Cozmo wants to play and you blow him off, he might slump and look dejected. But Anki thinks they've designed a complicated enough robot that you won't be able to stay away for long. "Not playing with Cozmo for a week should feel like not playing with your puppy for a week," said Sofman.